The 737 MAX concerned pilots well before the crash in Ethiopia. They told authorities about control issues, and were confused about its systems. One pilot wrote in a complaint, "The Flight Manual is inadequate and almost criminally insufficient." Another pilot said, shortly after takeoff, the plane briefly descended, unprompted and without explanation. That complaint said neither pilot could find an explanation for the brief descent. But the complaint said, prior to the descent, the pilots had deviated from their normal procedure, deciding to engage the autopilot earlier than usual, "to remove the possible MCAS threat." MCAS stands for Maneuvering Characteristics Augmentation System. It is an automated system that is supposed to help avoid stalls. But it might have contributed to a deadly crash in Indonesia last fall, and there's concern it factored into a second deadly crash in Ethiopia. Pilots can't control it, and didn't even know it existed until after the Indonesia crash. The database, the Aviation Safety Reporting System, is maintained by NASA. It does not include identifying information, like names, airlines or in many cases, even airports where the incidents happened. The Dallas Morning News first reported about the complaints in the database. Most of the complaints do not specify whether a 737 MAX 8 or MAX 9 was involved. The planes that crashed in Indonesia and Ethiopia were both 737 MAX 8 planes. Boeing makes two other variations of the MAX. The main difference between them is the seating capacity of the plane. In the U.S., three airlines fly the 737 MAX: Southwest Airlines, American Airlines and United Airlines. United only flies the 737 MAX 9, which hasn't been involved in any crashes. Southwest and American fly the 737 MAX 8. The planes are very similar, and both include the MCAS. All three airlines maintained their planes were safe, right up until Boeing announced Wednesday the planes would stay on the ground. For days, the airlines and Boeing said they saw no reason to ground the planes, even as the rest of the world did. Southwest Airlines told Newsy Tuesday, "We have compiled and analyzed a tremendous amount of data from more than 41,000 flights operated by our 34 737 MAX 8 aircraft, and this data supports our continued confidence in the airworthiness and safety of the aircraft." But concerns about the MAX's safety go well beyond the MCAS. One pilot, complaining about a lack of proper documentation on the planes systems, wrote, "It shouldn't be this hard to figure out what I'm looking at." That pilot wrote the plane rolled out with "poor training and even poorer documentation." Another complaint says the pilots discovered documents needed in flight were able to slip through a crack, and rest on wires. That pilot said, "We had Maintenance come out to remove it. We discovered 20 other ATIS sheets mixed into the wiring. The aircraft is only six months old. Severe potential fire hazard!" 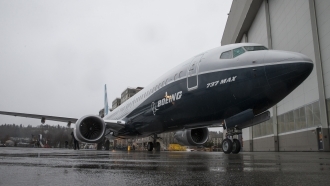 Canadian authorities announced Wednesday they were barring the 737 MAX from their airspace. Canadian carriers Air Canada and WestJet both fly the 737 MAX, and said they were complying with the order. Groundings in the U.S. came shortly thereafter. Newsy asked the FAA and Boeing Tuesday what made them confident in the 737 MAX's safety. The FAA said "our review shows no systemic performance issues and provides no basis to order grounding the aircraft." 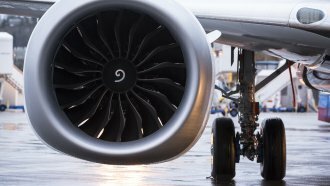 Boeing said in a statement Tuesday, "based on the information currently available, we do not have any basis to issue new guidance to operators." Even when it announced groundings Wednesday, the first line of Boeing's statement said, "Boeing continues to have full confidence in the safety of the 737 MAX." It said it was grounding the planes out of an abundance of caution.